I know, I know – you’re a vegetarian at Christmas and you don’t know what’s festive enough to eat when everyone else is chowing down on ham. 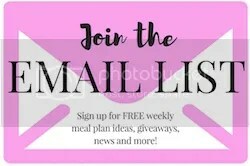 Or worse – you’re a carnivore hosting a vegetarian and you don’t know what to do. 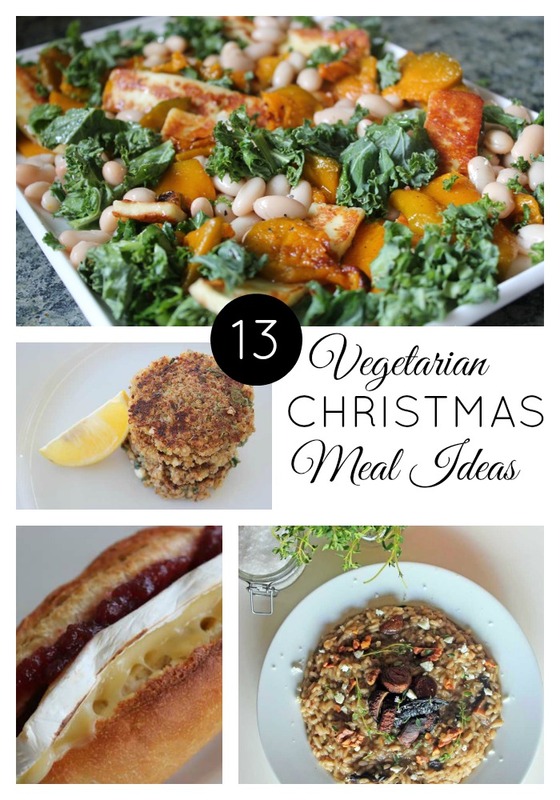 I got some vegetarian Christmas meal ideas that don’t take long, aren’t fiddly, but are super-festive and full of flavour. Nobody will miss out on this special day, I promise. Well, except maybe Santa, I hear he’s on a diet. If you want something (semi) seasonal that you can make in advance and just bung in the oven later, Pumpkin and Fennel Lasagne is your friend. Try adding rosemary instead of fennel for that real Christmas scent. For regular lasagna (why not, it’s Christmas!) head right this way. A tray of Vegetarian Stuffed Peppers is made even better with feta and cranberries. Make them as large or as little as you want for either a main or side. 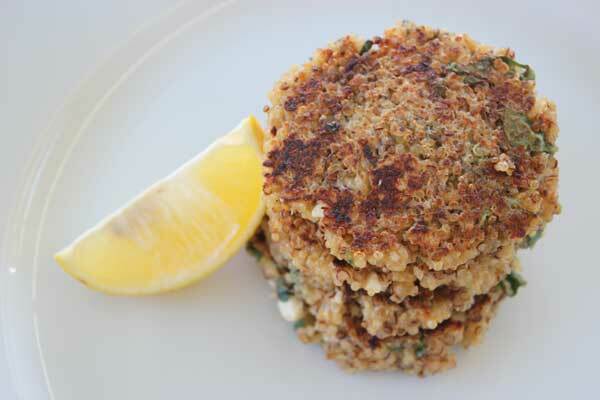 Feta and Oregano Quinoa Burgers uh-huh, who says you can’t have a burger on Christmas? You could even add some roasted red pepper or semi-dried tomato to get the red-and-green colour scheme happening. Really good vegetarian meatloaf. Really! REALLY. And if like me you are a traditionalist and want potatoes and gravy and roast pumpkin et. al, this is your guy. 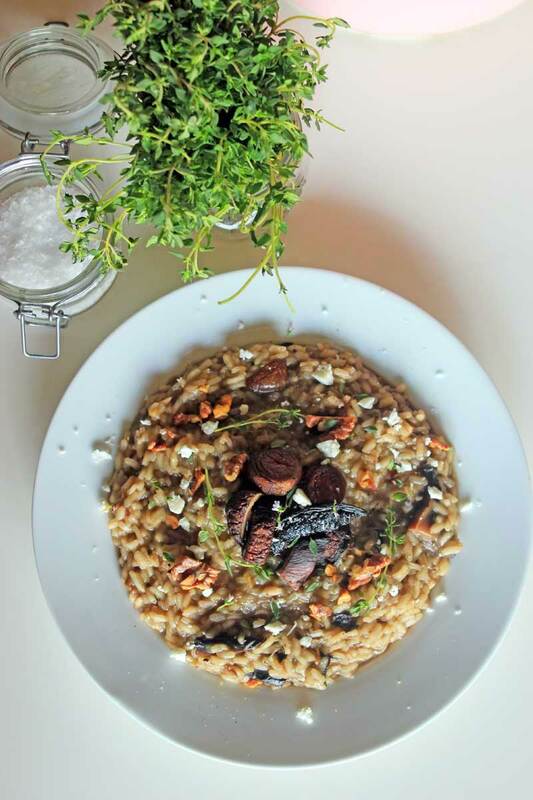 Mixed Mushroom Risotto with Toasted Walnuts and Goat Cheese for an untraditional twist but it can feed a crowd and is fricken delicious. The fan favourite – Briami! And with good reason too, this dish is bangin’. 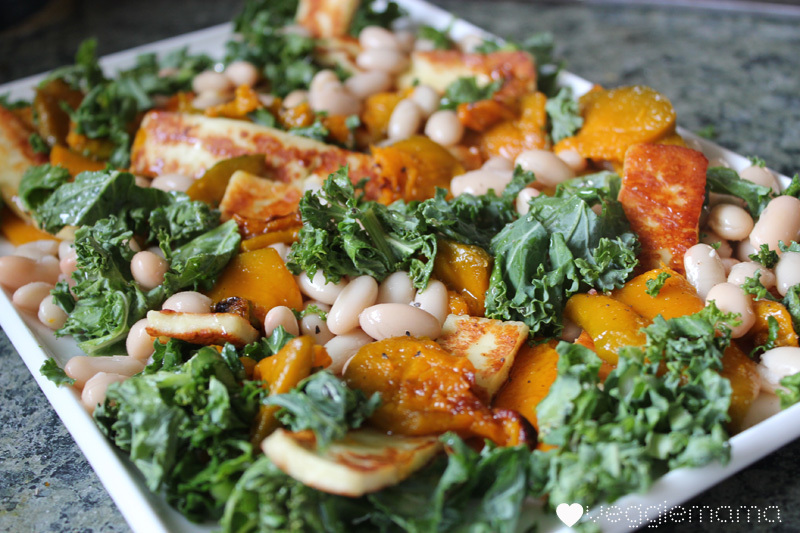 Roasted Pumpkin, Kale, and Haloumi salad. So good! I can and do eat this as a main. 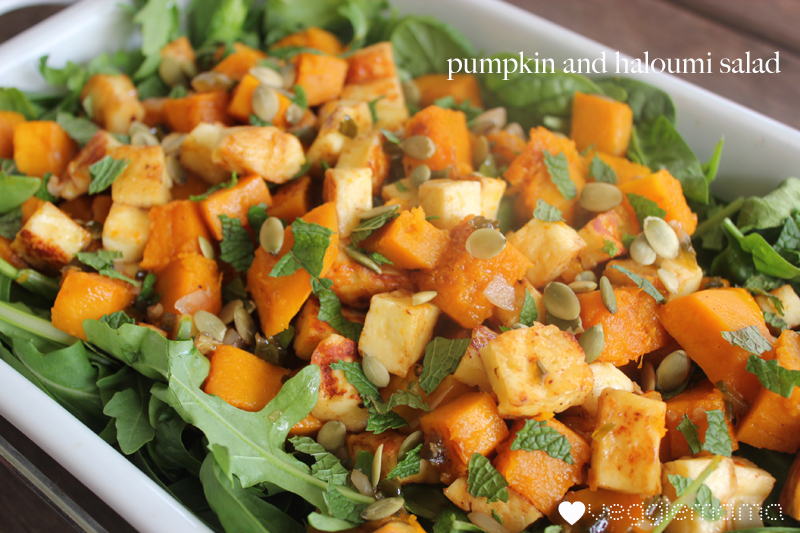 Pumpkin and Haloumi Salad with Honey-Jalapeno Dressing THE DRESSING OH MY GOD THE DRESSING. It’s definitely Christmas coloured, minty and fresh for hot weather, and can be dressed up or down as the occasion demands. I demand all of it. Now. Brie and Cranberry Rolls make excellent starters, next-day lunches or for hungry appetiser eaters. Spinach and Mint Dip Again, chuck something red in there and get festive! Roasted Pumpkin Hommus tis the season, and all that. Wait, no it’s not! Sundried Tomato and Goat Cheese Mini Quiche Good to take to parties or directly to your mouth. You won’t regret it, it’s the only way to party. Good meal ideas!! I have ‘pretend vegetarians’ in my family which are the worst! They say they are vegetarians so we cater for them then we watch as they chow down on our chicken and beef… drives me insane! But these look yummy enough for everyone. Yum! They all look amazing. These all look delicious. 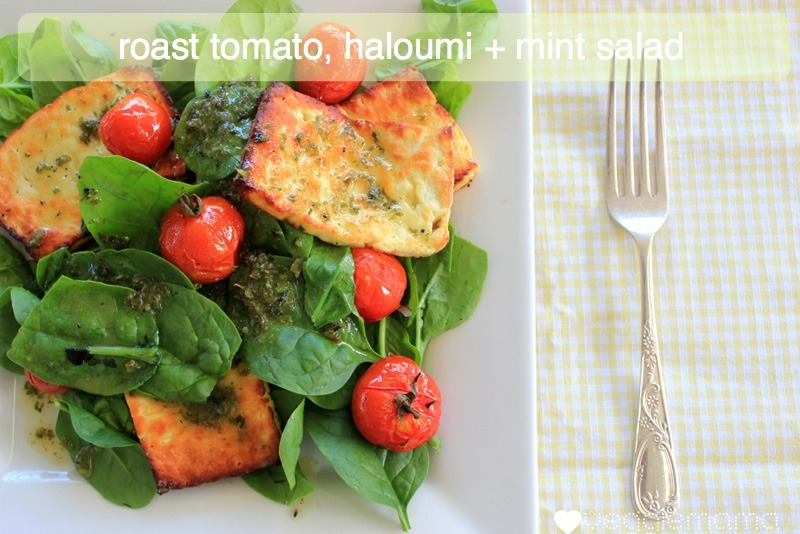 Am a haloumi fan so would love any of the salads and am eyeing off that mushroom risotto too. Yum. I love a smorgasbord of salads. For years I used to make and elaborate Russian Salad, molded and decorated with egg, beetroot and roasted peppers as an integral part of the Christmas feast and of course spinach pie is always good. NIce one! I’m away from home this Christmas, but i’ll pin it for next year. How good is Jill!